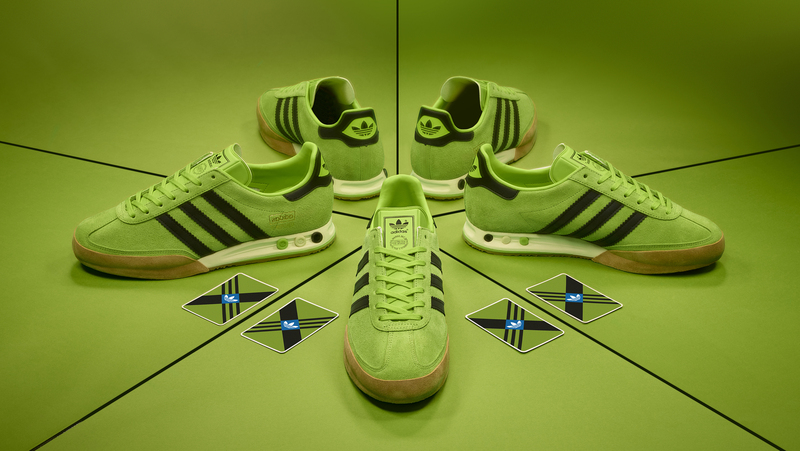 Following on from our recent Kegler Super ‘Beer’ iteration, our next collaboration with adidas Originals delivers the bowling silhouette with yet another nod to adidas’ illustrious past. With the brand’s history rooted in track running, we turn to one of their archival spiked runners for the latest Kegler Super colourway. Although this iteration is inspired by track and field sprinting, the Kegler Super originally began life in 1979 for the German indoor bowling sport Kegeln. Its innovative peg system was popular at the time, as it allowed the wearer to switch out the pegs in the heel to suit your own cushioning needs. 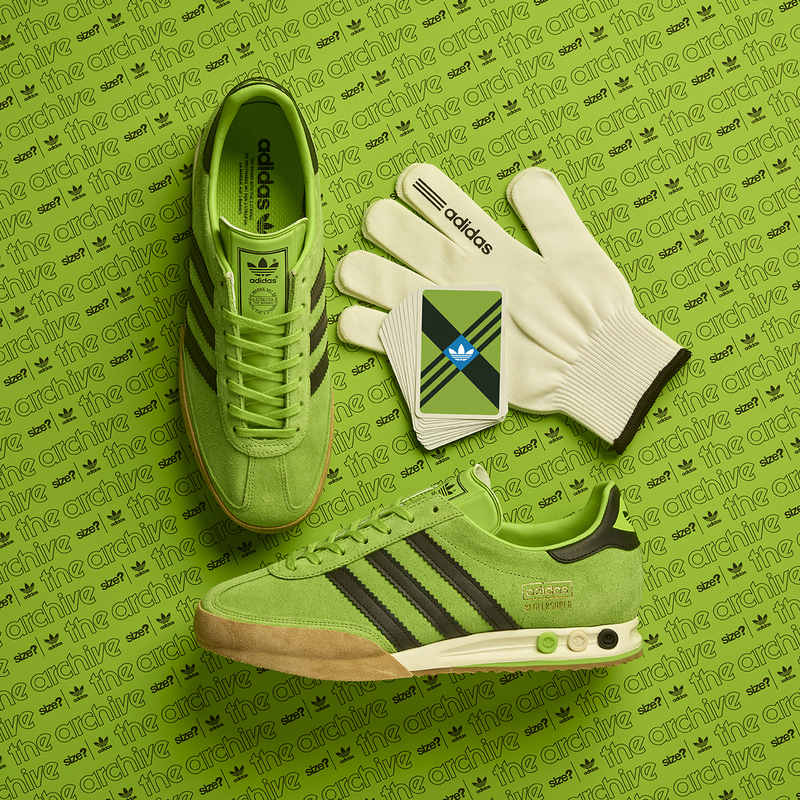 What’s more, the pair utilised suede across the toe cap to enhance durability when the wearer’s toes dragged across the floor – a nifty bit of tech which has been included in this latest pair. Running spikes lie at the heart of adidas’ origins, with arguably their most historical moment arriving at the 1936 Berlin Olympics. 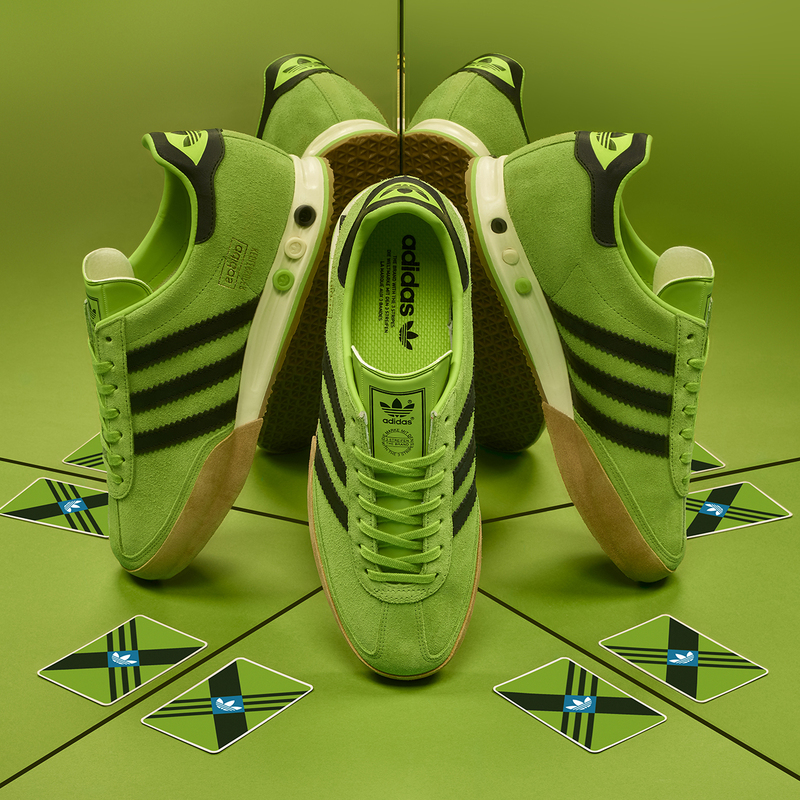 At the time, the Dassler brothers hadn’t yet parted ways and were still supplying high-quality, handcrafted, training shoes under the Dassler Brothers LTD brand. Most notably they created a set of running spikes for Black American athlete Jesse Owens, who with no other than a pair of the Dassler Brother’s spikes at his feet, went on to win four gold medals and inherently helped to popularise the design. For this latest ‘Running Spike’ iteration, we looked to a classic pair of spikes from a bygone era of adidas’ heritage. 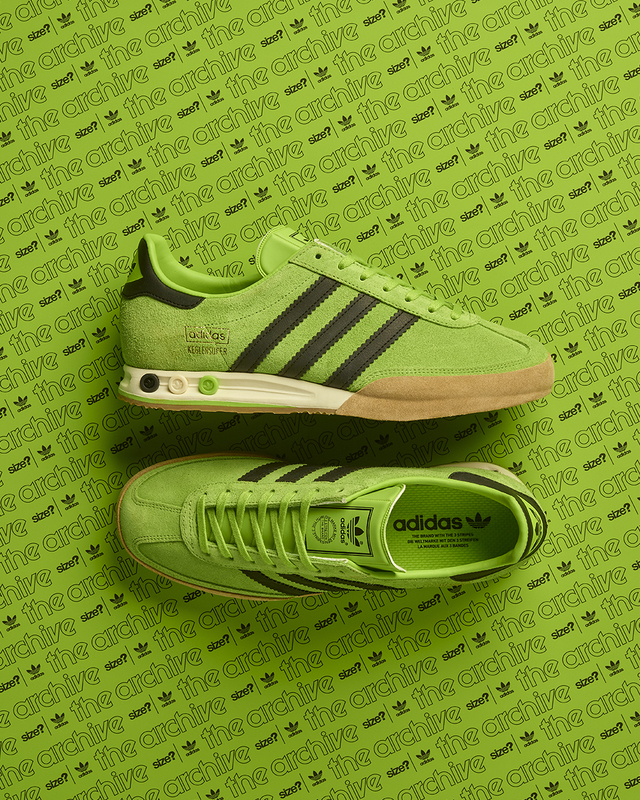 The same brushed lime green suede is used on the uppers, overlaid with black leather to the signature three stripes and heel tab. Signing things off, a classic two-tone hexagonal outsole is positioned underfoot, providing you with tailored traction to the surface. The size? Exclusive adidas Originals Archive Kegler Super ‘Running Spike’ will be available via the size? previews app and in all size? stores on Friday 22nd February, priced at £85.